Everyone is welcome to express their views at Lottoland. Please remain friendly, tolerate the opinions of others, and happy commenting! Insults and bullying are not welcome here. We recommend taking out your frustrations through sport. Comments will be deleted if they discriminate against others based on gender, age, language, race, religion or beliefs. Demagogic, sexist, or racist comments will be deleted and result in the suspension of your player account. 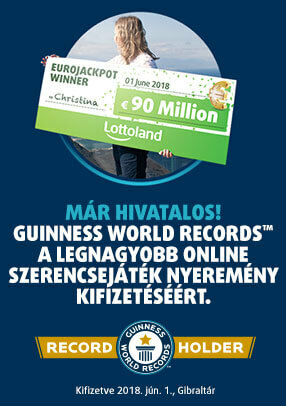 It's great that you want to contribute to Lottoland! We suggest that with a little attention to your writing style, you will reach the widest audience. Linguistic errors, incorrect sentence structure, improper use of case and jargon are likely to leave your audience baffled. Please don't plagiarise your content. Just as with plagiarised doctoral dissertations, it isn't fun to read - and we'd much rather hear your actual personal opinion! Please avoid any personally identifiable information (real names and contact information) in your public comments to protect your identity. Unfortunately, we must remove any commercial/promotional information posted as no one likes spam. Please refrain from cross- or multi-posting the same comments across different threads on Lottoland. Please do not post your comments in all CAPS. Seek to persuade through the force of your argument rather than by shouting. Who may comment, and how much? All visitors (including unregistered players) may view posts by others on Lottoland. A logged in user can do more: as a registered player you can of course read all content, but you may also edit your own comments, as well as delete and report outside contributions. We will personally review any reported comments. Please limit your comments to 800 characters. Brevity is the soul of wit! A Lottoland player can limit the visibility of their comment to just the Lottoland team. These comments will not be published to other users, but instead will be sent via email to Lottoland Support. To protect your identity, published comments only display the player alias, but not the real names behind an account. Learn more about Player Protection at Lottoland.